Read detailed reviews about some of the coolest paintball fields in NY. Explore our informative guide to NY paintball, before you embark upon an afternoon of fun and excitement with your group of friends. Find addresses, phone numbers, websites, and all the information you need to know about New York paintball venues. Find Great Products for Paintballing in NY! 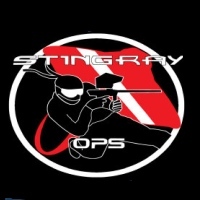 A family owned and operated paintball store in NY, Stingray Ops has provided some of the finest paintball products and services since 1991. Services include gun cleaning and maintenance, gun repair, tank and regulator repair, and hydrostatic testing. With every gun purchase at the store you get a free lifetime labor warranty. Plus, all accessories will be installed for free. Store hours are 11 A.M. to 6:30 P.M. on Mondays, 11 A.M. to 7:30 P.M. on Tuesdays through Fridays, and 10 A.M. to 6:30 P.M. on Saturdays. Check the website regularly for upcoming events, including paintball activities and tournaments. One of the Coolest Paintball Places in New York! Island Paintball is home to the Paintball Arena, a large indoor playing facility that always makes for an adrenaline-pumping good time. Private parties may be booked at any time, with advanced notice. Enjoy a 2 to 3 hour paintball session with your closest friends. 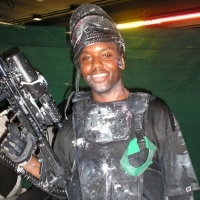 The NY paintball parties are perfect for birthdays, bachelor parties, and other special occasions. If you need any equipment, stop by Island Paintball Supplies--one of the first and largest paintball stores in all of the U.S. Explore a huge array of airsoft guns, accessories, web gear, ammo, BDU's, camo, and more. Get full-service repairs from factory-trained airsmiths. The arena/store is conveniently located, about 30 minutes from NYC. Outdoor and Indoor Paintball in NY! Offering you the ultimate indoor and outdoor paintball experience, High Velocity is the place to go for paintball in New York. 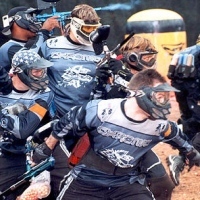 The outdoor paintball complex contains seven uniquely themed fields. The 25,000-square-foot indoor facility is a climate-controlled environment, completely covered by AstroTurf. The paintball pro shop sells all the latest paintball markers, gear, equipment, apparel, and accessories; and is led by a knowledgeable staff who will gladly answer any questions you have. If you're looking for a unique way to kick off your next special occasion, High Velocity's paintball parties are perfect for birthdays, bachelor parties, anniversaries, and other events. Advanced reservations are strongly encouraged. 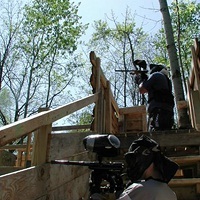 The outdoor paintball field is located in Coram, NY; and the indoor field and pro shop are located in Bay Shore, NY. Indoor Paintball at its Finest! Come experience one of the fastest growing extreme sports at NYC Paintball's 32,000-square-foot indoor facility! Play on the giant 10,000-square-foot paintball field or on the 7,000-square foot brother field. The facility can accommodate private play sessions for a minimum of 8 players. The NY paintball field also offers open and private staging areas, free lockers, and vending machines. Your paintball admission includes 500 paintballs, a gun, a mask, pod packs, and unlimited air fills. If you choose the upgrade package, you can get an extra 500 paintballs and a chest/back protector. All paintball sessions last approximately 3 hours. If you commute via subway, NYC Paintball is only minutes away from Times Square and Grand Central Station via the 7 Train. Outdoor Paintball for many types of Events! 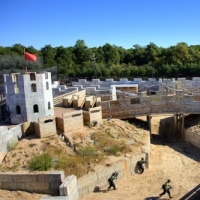 An outdoor paintball park in New York, Cousins Paintball contains 20 acres of woods with hills, streams, and bunkers. The company specializes in bachelor parties, kids' parties, religious groups, and company outings. Private groups of 10 or more people can play any day of the week, as long as you book a reservation about two weeks in advance and submit a pre-paid deposit. Food at the facility is made to order by Empanada Mamma's Grill in Staten Island. The park is open to the public every Saturday and Sunday, from 9 A.M. to 5 P.M. Enjoy New York paintball in a fun, safe, and friendly environment! Take Advantage of the Group Paintball Packages! Located just one hour from New York City, Paintball Sports is one of the oldest and longest running paintball fields in NY. Whether you're a first-time player or a seasoned pro, your experience is guaranteed to be enjoyable. All paintball sessions are safe for kids ages 10 and up. Group rates are available for 10 or more players. Group paintball events are perfect for birthday parties, bachelor parties, company outings, corporate retreats, schools, and more! Your group package will include private fields for group play, experienced referees, unlimited compressed air refills, use of the facilities (including a covered picnic area), parking, optional catering for lunch, a complete safety protocol and game instruction. Watch or Play Paintball in New York! One of the most complete paintball fields in New York; Legacy is equipped with air in the pits, campsites with electric hook-ups, and an experienced staff with over 12 years of experience in the paintball industry. 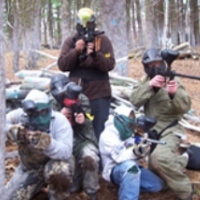 The group paintball activities are great for birthdays, bachelor parties, and other fun events. Even if you'd rather watch than get in on the action, the site contains a spectator area with bleachers and a 12-foot netted barrier to keep you from getting hit by the paintballs. The New York paintball park is conveniently located only minutes from downtown Plattsburgh and 50 minutes south of Montreal, Quebec. 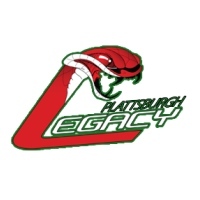 Legacy also has a location in Batavia, NY (call 585-555-5555 for more information). Like to play FPS action games? Play it for real in a safe and controlled environment with your friends and family. Hide behind bunkers and built-in buildings located throughout the woods and find out who will be the king of the field. Ithaca Paintball has more than 15 years combined experience in the paintball industry. Here, you can find everything you need for the game – from paintball accessories to paintball equipment. 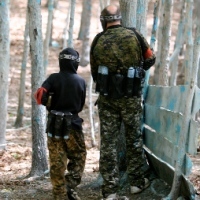 Ithaca Paintball has one of the best paintball fields for birthday parties in NY. They have group rates for corporate outings and bachelor parties, too. Prices start from $10. Come and have fun!